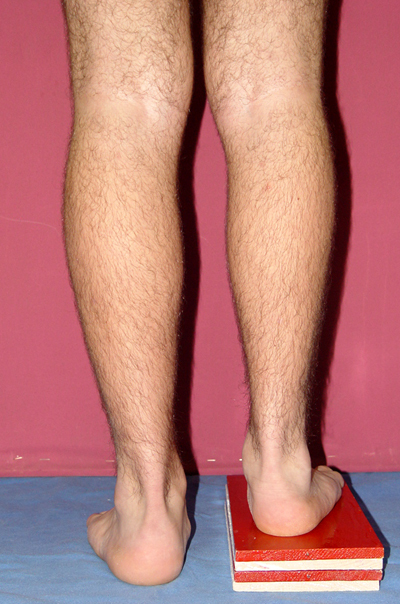 lengthening of the shorter leg. 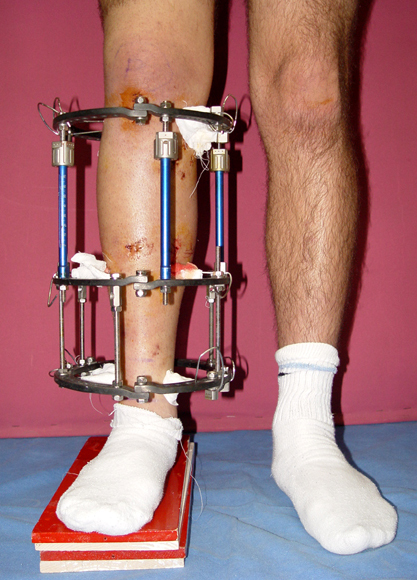 Many patients don’t want to use a shoe support thicker than 2 cm. 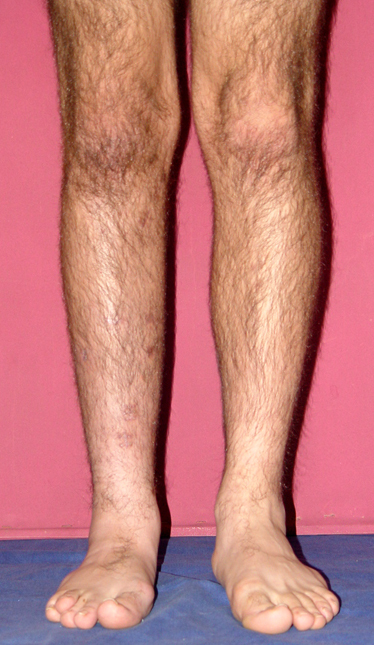 For length differences between 2 cm and 5 cm, shortening may be considered for tall patients. 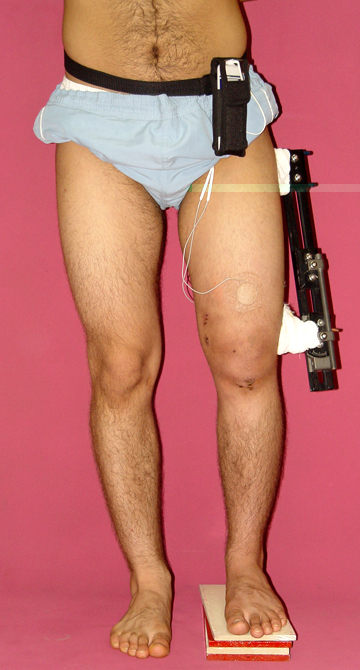 This can be performed in growing children with a small, minimally invasive, uncomplicated procedure called epiphysiodesis. 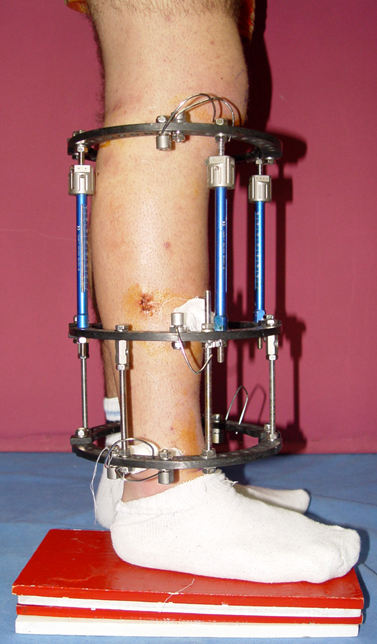 This means surgical disruption of one or more growth plates. 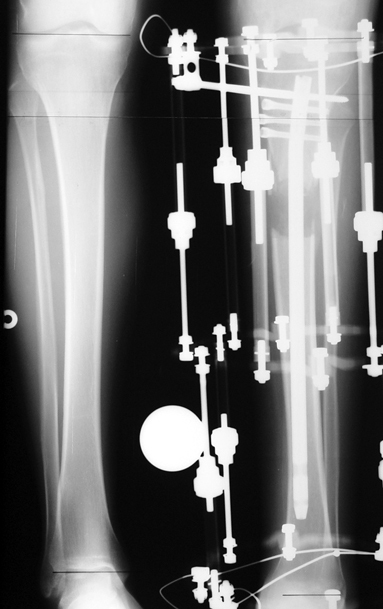 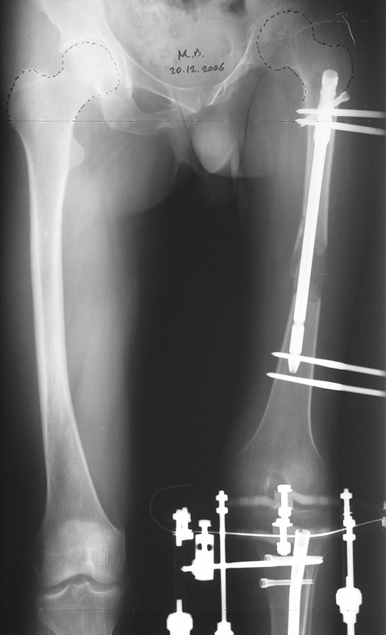 There is a growth plate at the ends of femur, tibia and fibula; this procedure does not halt all growing of the leg. 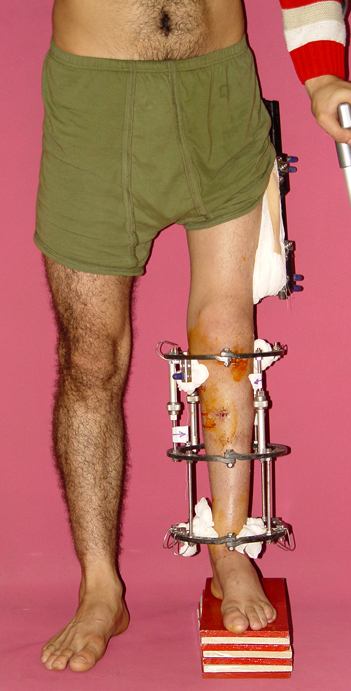 The growing of the longer leg is calculated and halted to allow the shorter leg to catch up.If the procedure is performed at a too early or too late age, the correction may be too much or too little, respectively. 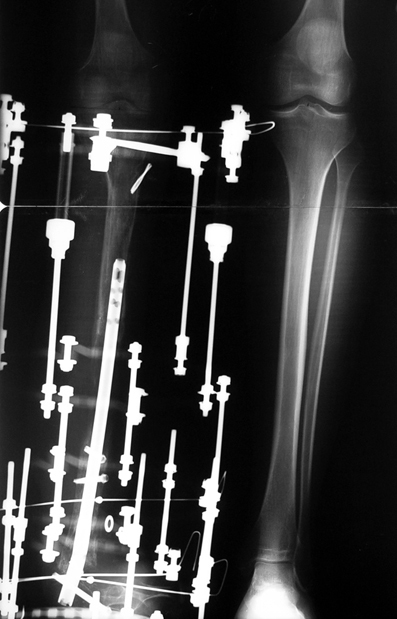 Hence, it is important to accurately calculate the most appropriate age for epiphysiodesis. 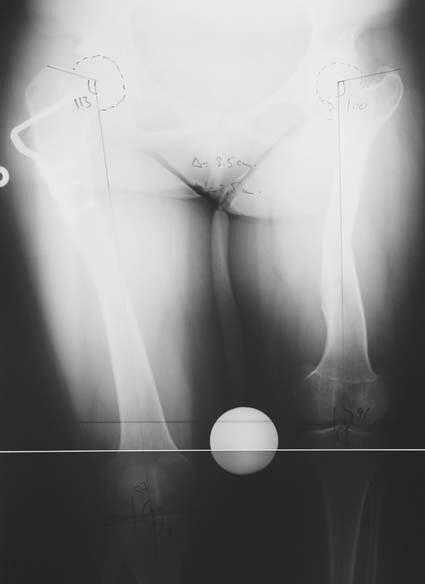 When and at which bone segment epiphysiodesis will be performed shall be calculated by the doctor using different methods such as Gren-Anderson diagram, Moseley curve or Paley’s multiplier method.Epiphysiodesis is not an option for adults because growth plates ar closed. 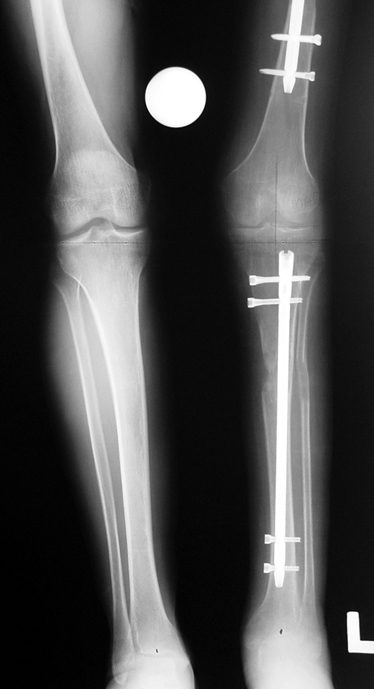 In adults, a bone segment has to be excised surgically in order to shorten the leg. 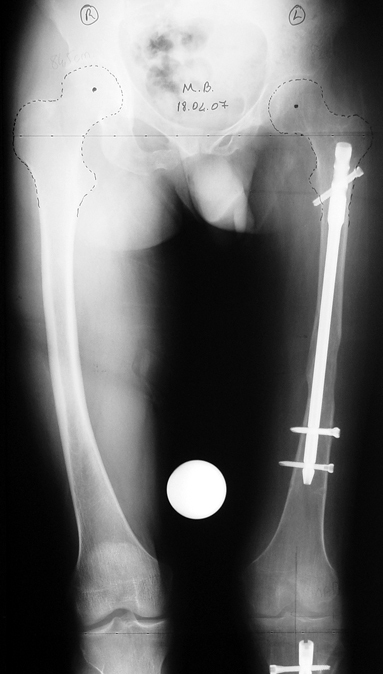 This is usually performed at femur and bone is later fixed with an intramedullary nail. 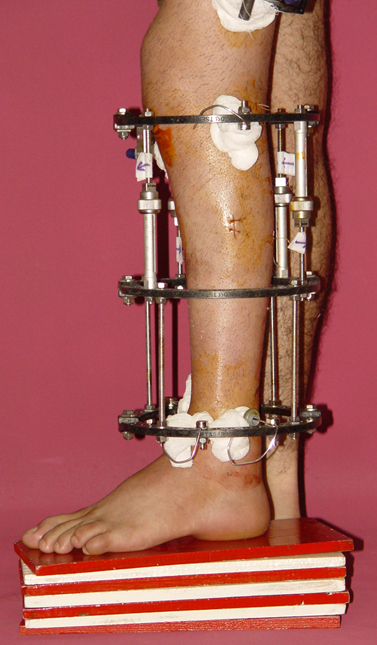 The biggest advantage of this system is that it acutely provides limb length equality for discrepancies less than 5 cm. 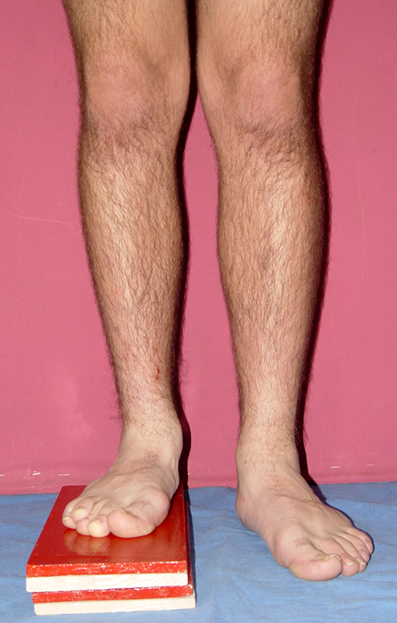 The common disadvantage of epiphysiodesis and shortening is the shortening of total height of the patient. 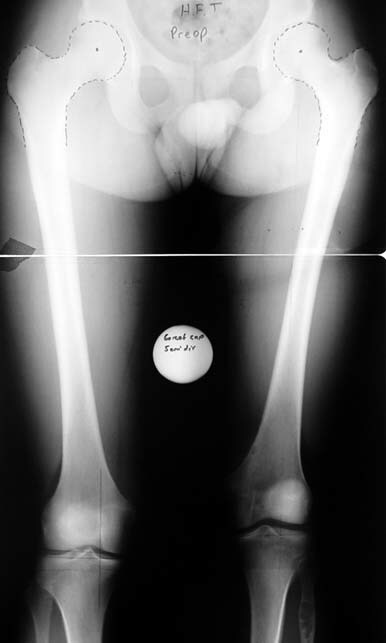 Because we don’t advice shortening more than 5 cm, height loss can’t be more than 5 cm. 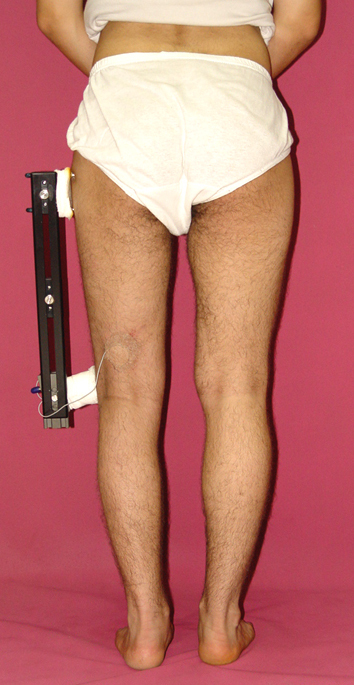 For patients who don’t want an epiphysiodesis or shortening operation for length inequalities less than 5 cm, limb lengthening can be preferred in order to equalize the length difference.This can be combined with epiphysiodesis and shortening to decrease a need for another lengthening operation or to decrease the lengthening amount required. 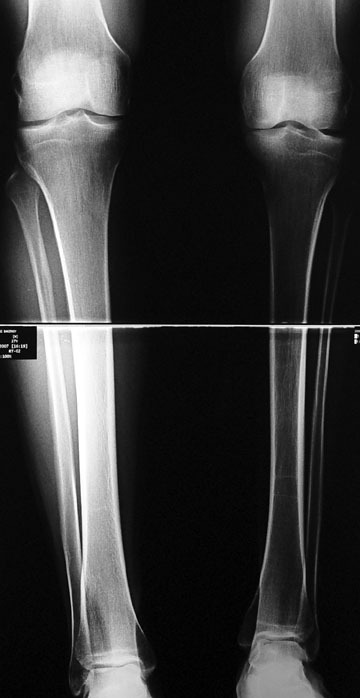 Patients with congenital lower limb shortness are hard cases who should be treated by surgeons experienced in lenghtening of developmental and posttraumatic lower limb shortness. 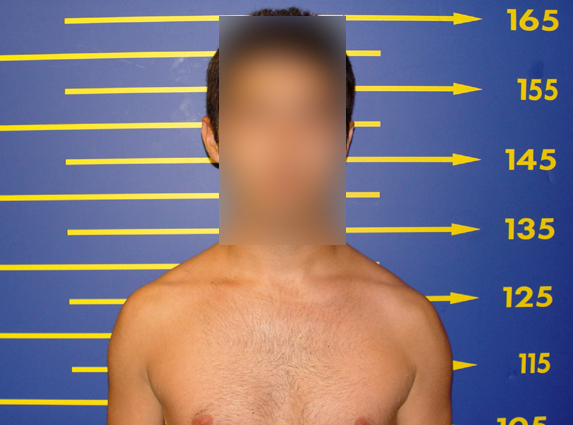 Not only the amount of shortness is big but also it increases gradually and proportionately in time. 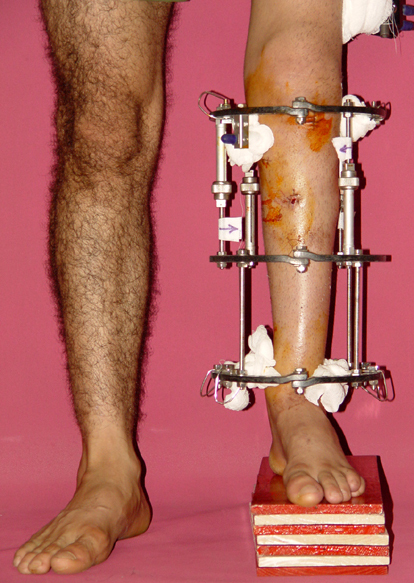 A method to increase the growing rate of a short leg is not known. 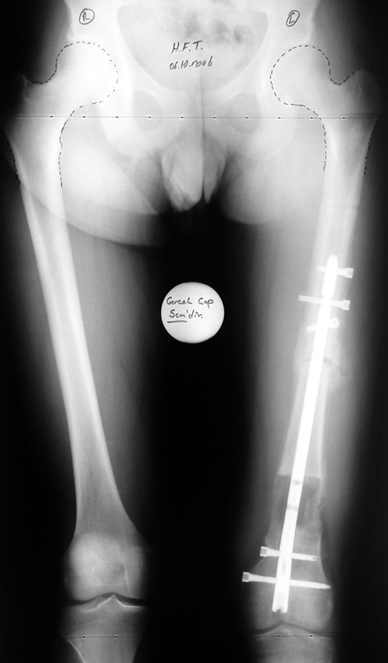 In addition to bone shortness, the soft tissues are thick and short, and they hinder lengthening by stretching. 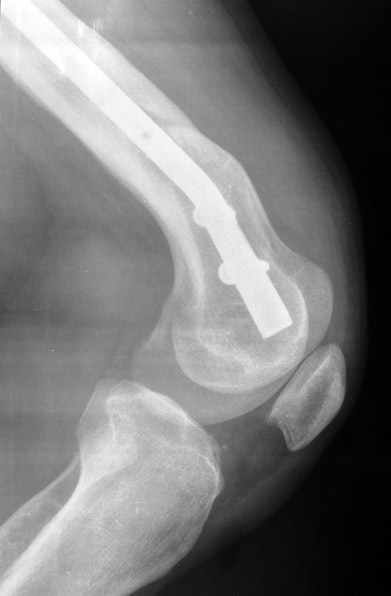 Development of the hip, knee and/or ankle joints may be insufficient and/or the joints may be instable. 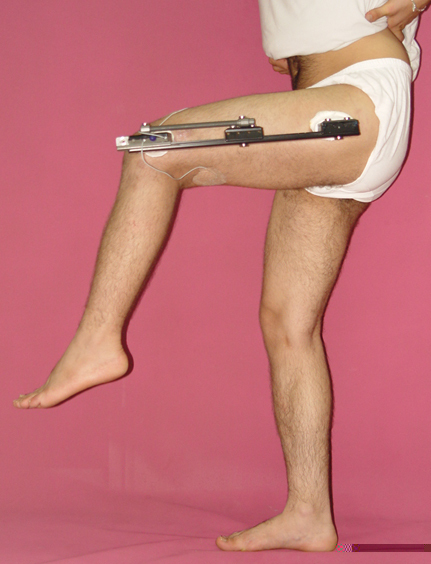 All of these factors shall be evaluated carefully to avoid irreversible damage in the joints, nerves and muscles. 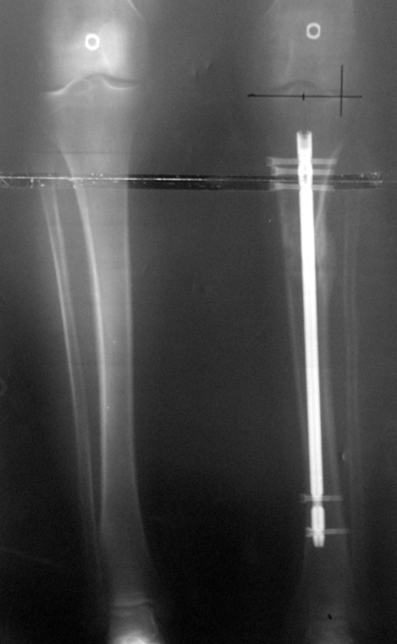 All cases of congenital lower limb shortness are treated in our department. 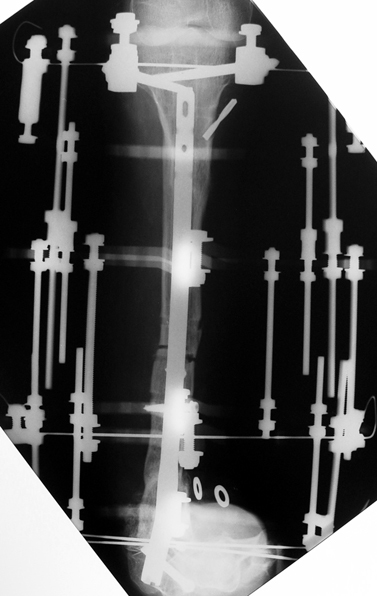 In the beginning, we calculate how much length discrepancy there will be after skeletal maturity is gained. 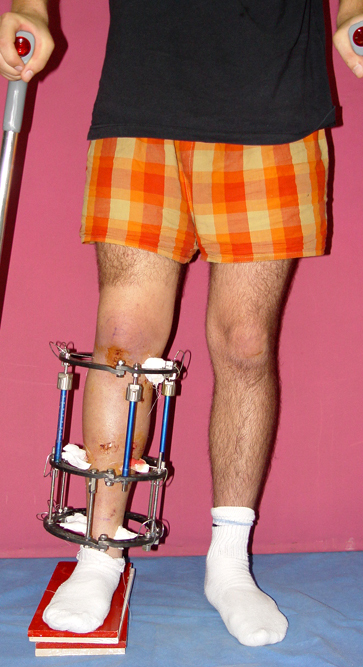 After all deformities and joint instabilities have been defined, the treatment stategy is organized for the limb, including the surgical correction of the hip, knee, ankle and foot. 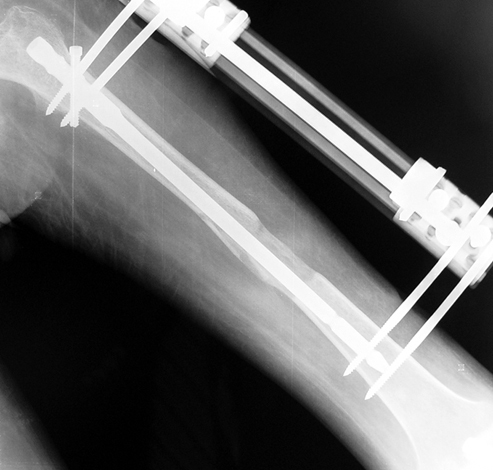 Lengthening surgery may involve one or more operations. 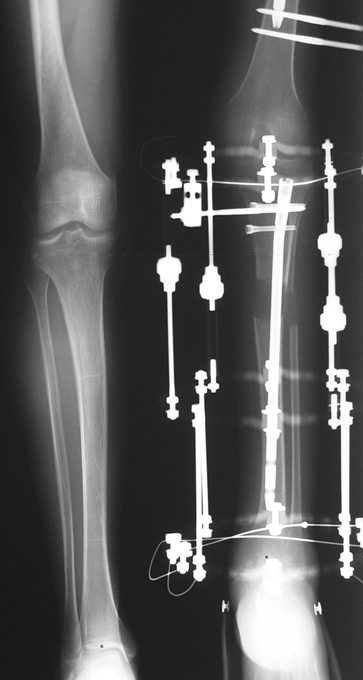 Most of the patients with congenital lower limb shortness can be treated by lengthening and reconstruction. 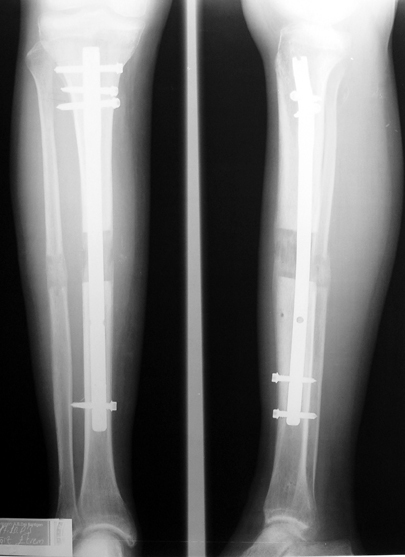 For most cases, we prefer to start lengthening and reconstruction procedures before the patient is 4 years old, usually before 2 years of age. 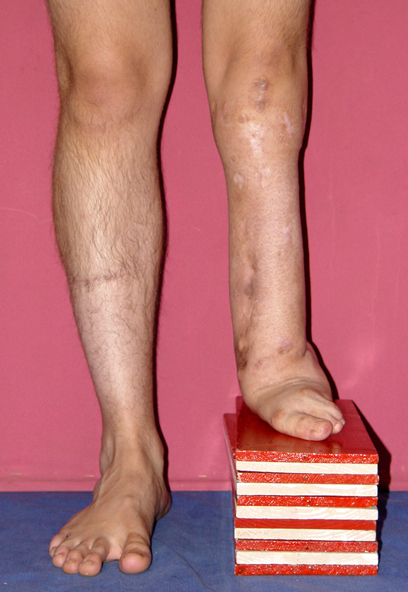 An alternative treatment method is amputation so that the limb fits more easily in a prosthesis, and lengthening of the prosthesis with growing of the child in order to correct limb length inequality. 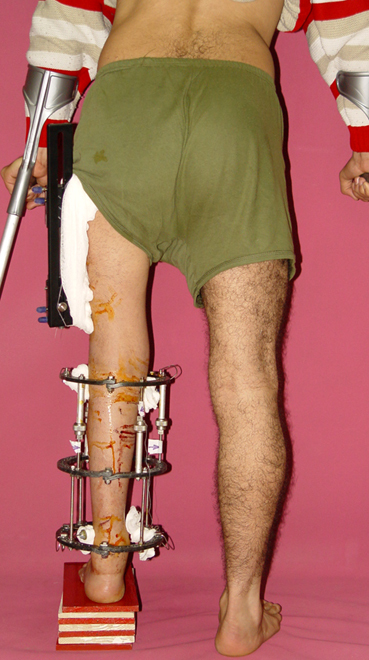 We call this procedure prosthesis reconstruction surgery (PRS), and includes operations like Syme amputation and Van Ness rotationplasty. 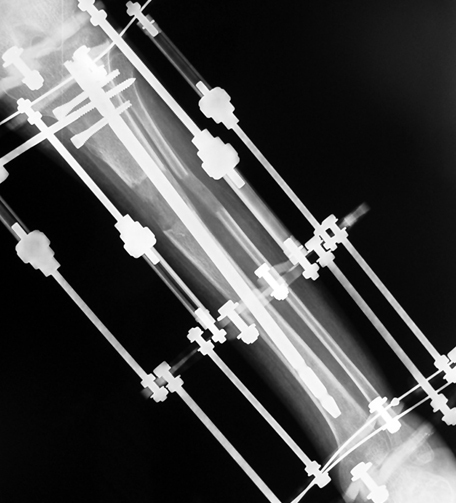 While this procedure may be the best choice for those patients with serious defects lacking one or more joints, in our opinion it is not the best choice fort he majority of patients. 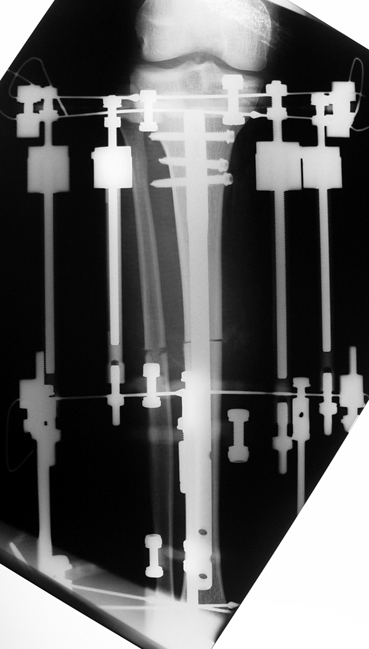 Our results for femur and tibia lengthening are perfect even for very big length differences, and perfect results are achieved in development and maintenance of joint functions. 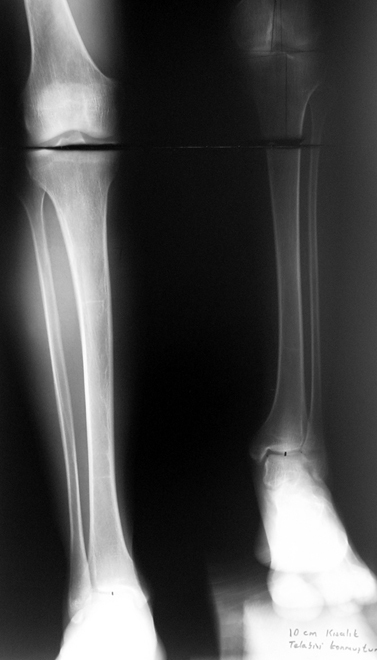 This includs lower limb shortness which occurs following growth plate disruption and growth arrest, Ollier’s Disease, multiple osteochondomatosis, poliomyelitis, infection, radiation (radiotherapy), cerebral palsy, spina bifida, club foot and similar disorders. 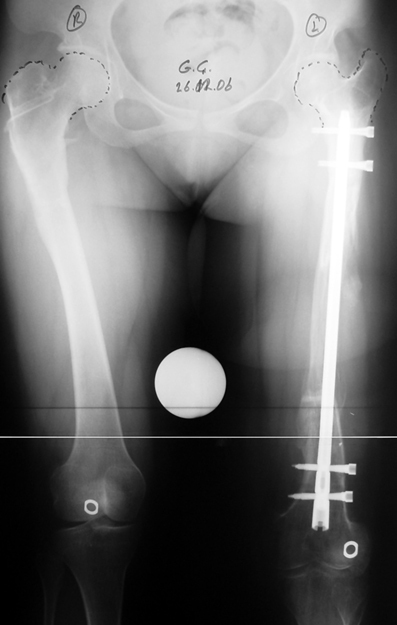 Additional abnormalities are frequent in this group. 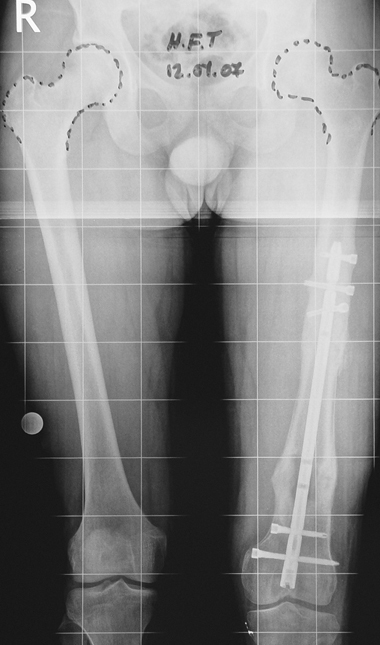 Many cases can be treated with one or two lengthening operations. 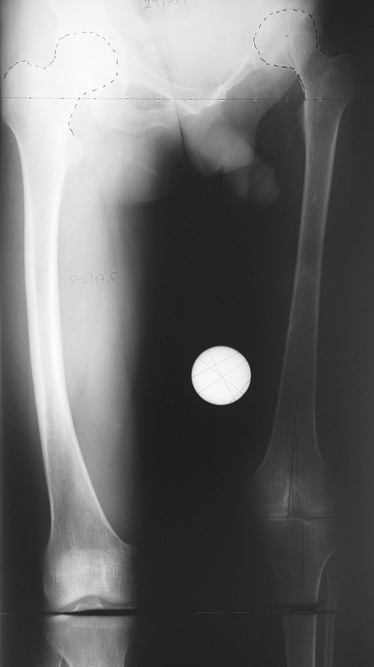 If present, deformity can be corrected simultaneously with shortness. 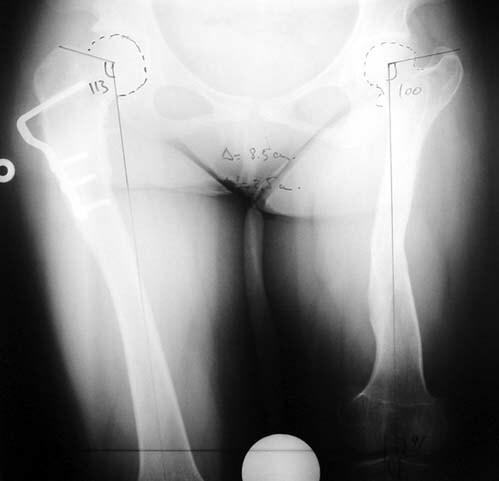 For condirtions that damage the hip joint at the first year of life like neonatal sepsis, we reconstruct the hip joint with pelvic support osteotomy in addition to lengthening, and a hip joint with nearly normal function is acquired. 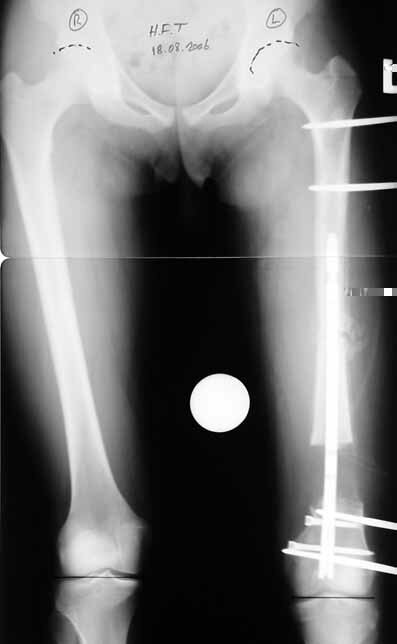 This type of shortness occurs after a fracture heals in a shortened position. 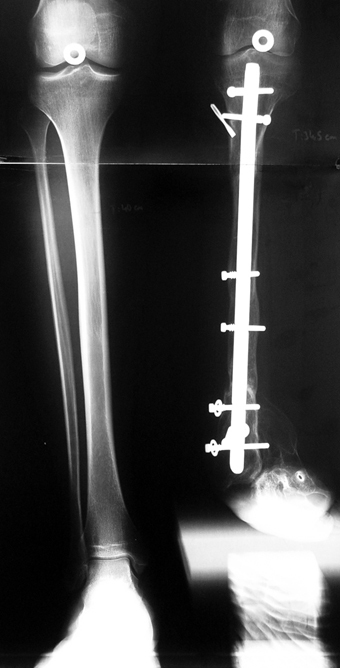 Most cases are seen in adults and can be treated with one lengthening operation. 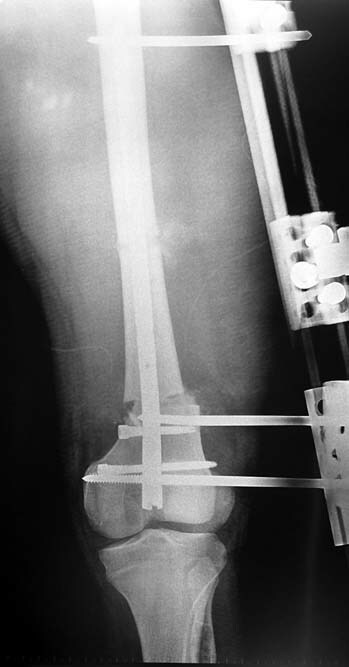 Additional deformities can be corrected simultaneously. 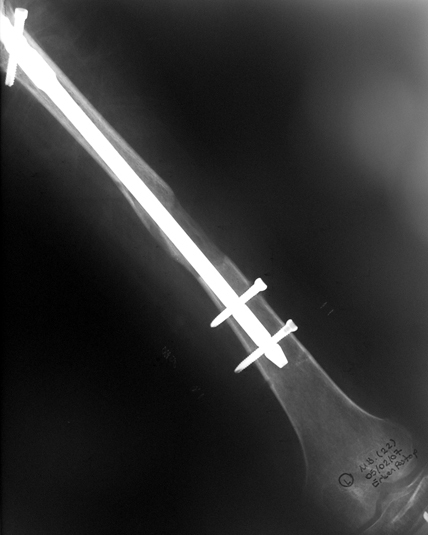 Most of these cases can be treated with lengthening over nail or just corrections and intramedullary nailing.